The Article Galaxy Scholar Collection is a cost-effective way to supplement your interlibrary loan (ILL) needs and subscriptions, 24 hours a day, 7 days a week. 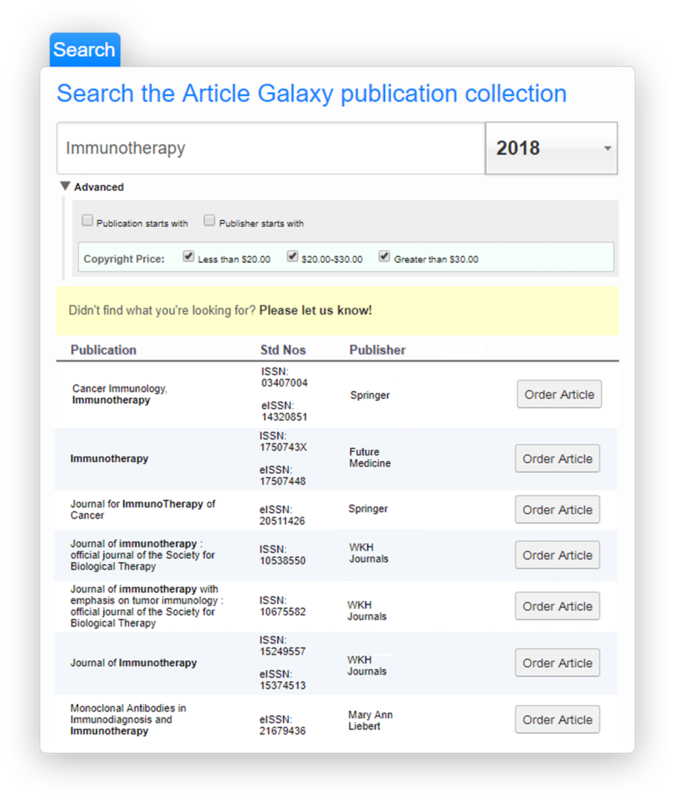 Compatible with your ILL department workflows or any OpenURL link resolver, Article Galaxy Scholar delivers 100% native PDFs of journal articles or book chapters directly to your inbox in minutes. Ask us for special library consortia pricing. No start up fees required. Whether your Academic institution is looking for a mediated or unmediated solution, Reprints Desk will customize our service to meet your workflow needs. It's simple, cost-effective, fast and reliable!